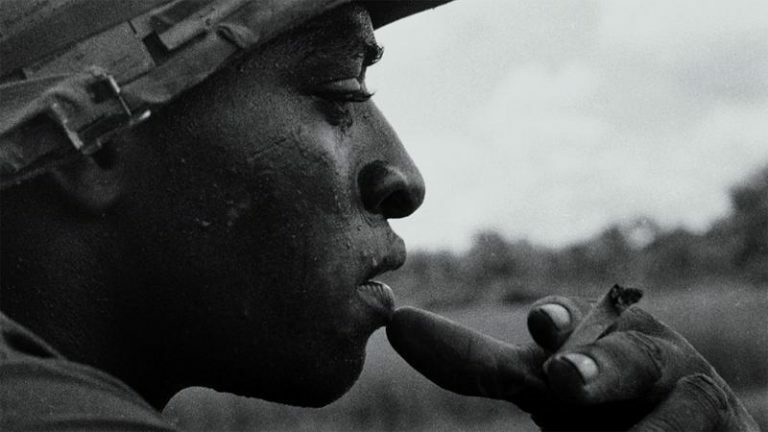 Still from the PBS Vietnam documentary. The sheer energy and moral persistence of these great movements largely succeeded; by 1987 Reagan had negotiated with Mikhail Gorbachev an Intermediate-Range Nuclear Forces Treaty (INF) that effectively ended the Cold War. Where are the ghosts of the great anti-war demonstrations that took over Washington in the 1970s? Where is the equivalent of the Freeze Movement that filled the streets of Manhattan in the 1980s, demanding that President Reagan withdraw battlefield nuclear weapons from Europe? Obama’s “pivot to Asia” in 2011 signaled the transfer of the majority of America’s naval and air forces to Asia and the Pacific for no purpose other than to confront and provoke China. The Nobel Peace Laureate’s worldwide campaign of assassinations is arguably the most extensive campaign of terrorism since 9/11. All of this fails to penetrate those “liberal brains pickled in the formaldehyde of identity politics”, as Luciana Bohne noted memorably. Commodified and market-tested, “diversity” is the new liberal brand, not the class people serve regardless of their gender and skin colour: not the responsibility of all to stop a barbaric war, to end all wars.